Since it is from Discovery, a lot of attention has been given to the detailing. They have shot in a location that resembles the rugged landscape of the India – Afghanistan border. The camerawork, background score and editing is top notch. The language used in a mix of Hindi and Punjabi, which lends more authenticity to the show. The art direction is very good. Abhishek Basu is the director of photography while writer Aseem Arora has done the dialogues. 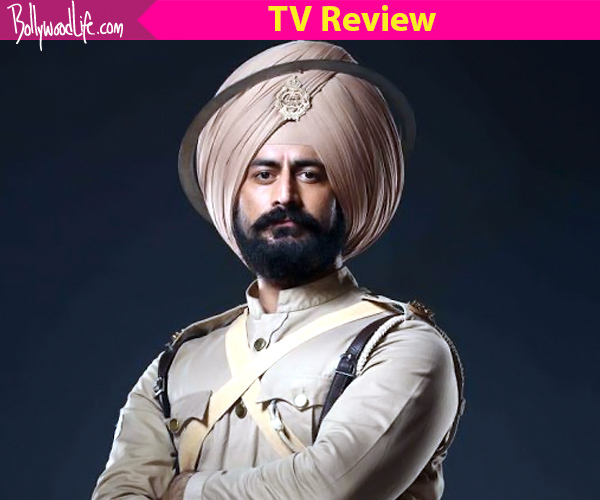 Amongst the actors, it is Mohit Raina who steals the show with his commanding presence. The scene where he guns down the young soldier from the enemy ranks after reprimanding him with stay with you for a long time. The last scene of the first episode is also a winning one. Any other actor would have looked silly but Mohit has delivered the monologue with so much conviction. Mukul Dev as the head of the Orakzai brings a certain amount of flamboyance and devilishness to his role. The dialogues spoken by the English actors are not upto the mark. There is a scene where an officer says security briefing, which was an unheard of term in that era. These are small glitches and we do hope that this show gets better and better. If you love history, this show is tailor-made for you. And Mohit Raina fans, here is a role that does justice to the actor’s talent and charisma.